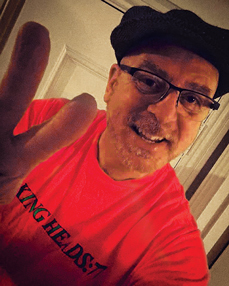 In his first monthly column, Bella Union boss Simon Raymonde asks whether £20 for a vinyl album represents good value for money. But this is all a diversion from the serious business on my mind, which is ‘the cost of vinyl’ – and the hot air it generates among those of us who love buying music that is mysteriously pressed onto the analogue sound-storage medium known as vinyl. If we agree that, on average, a vinyl LP is £20, then for all those who moan about the cost, we must consider other items that we buy for £20. Of course, the cost tells only part of the story, as the other important thing to ask is to do with the quality and the lifespan of the product. Getting too deep into how long it took to actually make the music, and the cost of recording, mixing and mastering – whether is be with an orchestra or in a bedroom – is not part of this equation, and while those processes are crucial to its ultimate ‘value’, let’s not go there right now! Let’s assume that, with reasonable care, a vinyl purchase will last at least 25 years; to be able to say with 100 per cent certainty that £20 is very good value, we have to compare it to similarly priced things – and the lifespan of those purchases. So, I went through my receipts and found a bunch of other things I’d paid £20 for. When you’ve read to the bottom, if you still feel £20 is too much, you can visit the shop and we’ll sell you a £3 cassette – or you can use our listening post for free for a bit. These will be lost or will break within six months. I could buy two albums that will last forever (I’m 54, so I ain’t living more than 25 years, alright?) and have hours of listening pleasure, or I could buy an iPhone cable and plug that will give me no pleasure and will get chewed by the dog. ONE NIL TO ME. Coffee was pretty terrible, eggs were dry, smoothies were okay but warm… In 20 minutes, it was all over – very little pleasure derived, no cultural benefits. My stomach hurt quite a lot in fact, and I only started to feel better once the new Thundercat LP arrived, and that was a way better purchase than the breakfast. 2-0! fter my plants, and even though their average lifespan is two to three years, this is almost as good an investment as an LP. I’ll concede this one, 2-1 – though it may have been offside. fter a stressful day. The price of £23.99 is exorbitant for something made of a vegetable/paraffin wax mix, but the fragrances are mostly lovely. Candles burn through in a few days, though, and if you buy one vinyl and one candle a week, the A Tribe Called Quest LP wins hands-down on value. 3-1.
fling through some old fried-chicken boxes I saw the glove, but it was sopping wet, only had four fingers and was touching a pile of dog mess. Clearly the vinyl I bought that week, Mind Over Mirrors’ Undying Colour, was a more edifying purchase than the umbrella and gloves, which I will have to replace. Something that takes two to three months to make, is produced in a mystifying way involving aluminium, hydraulic presses, steam, silver, nickel, PVC and no end of antique manufacturing techniques and machines, is a kind of alchemy. When this beautiful shiny disc is slipped into a cardboard sleeve, one of engineering’s greatest achievements is complete. The joy passed on to the artist (I’ve not met one whose face didn’t light up when presented with the first vinyl), record stores and the consumer is worth more than anything £20 can buy. 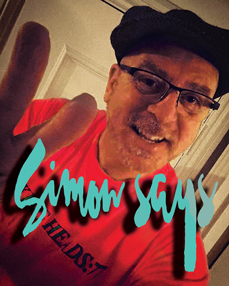 SIMON RAYMONDE was the bassist and keyboard player in the Cocteau Twins and founded the independent record label Bella Union.